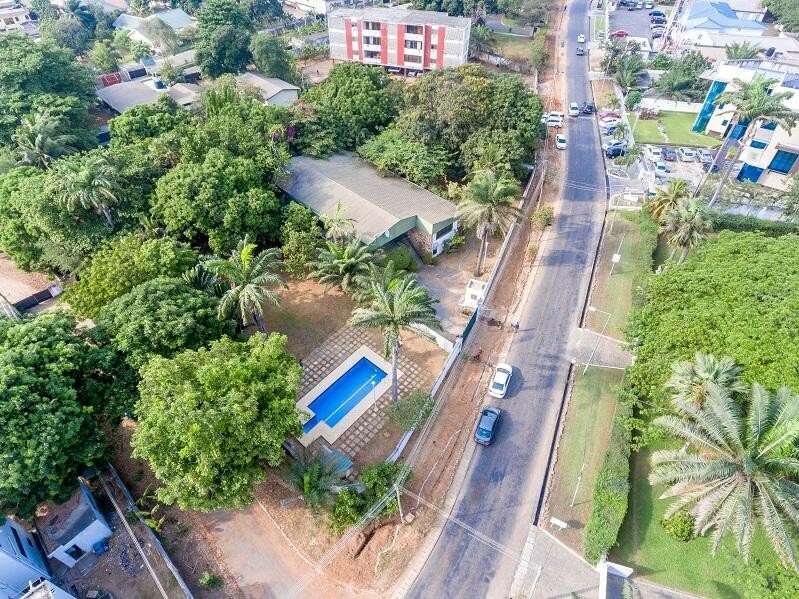 Sign up and receive Property Email Alerts of Houses for sale in North Ridge, Accra. Sitting on 0.60 acres this generously spacious residence boasts of a generous open floor plan encompassing it's living/dining, kitchen area. It's three rooms also boast of the generous spacing found throughout the property providing plenty of room for study, work or sleep and storage. Its expansive living room leads to the remainder of the house by opening up to a spacious rear patio with the swimming pool and expansive garden areas in sight. Further equipped by a 2 bedroom staff quarters, standby generator, ample parking, reserve water storage provision, the property is perfect for anyone or outfit who is looking for serenity in a home, or being strategically located with an arm's length from the major city centers. Sign-up and receive Property Email Alerts of Houses for sale in North Ridge, Accra.